TICKETS ARE AVAILABLE THROUGH THE END OF THE TOUR!! Online Ticket Sales End Noon Today (Friday, November 6th)!! -- Tickets may still be purchased on tour days at the Orange Library - there will be a table staffed by OTPA volunteers -- CASH or CREDIT CARD ONLY!! -- No Checks! ​PLEASE READ INFORMATION BELOW PRIOR TO PURCHASING TICKETS!! We invite you to take a peek into Orange’s past and see what makes our town such a great place to live, work and play. 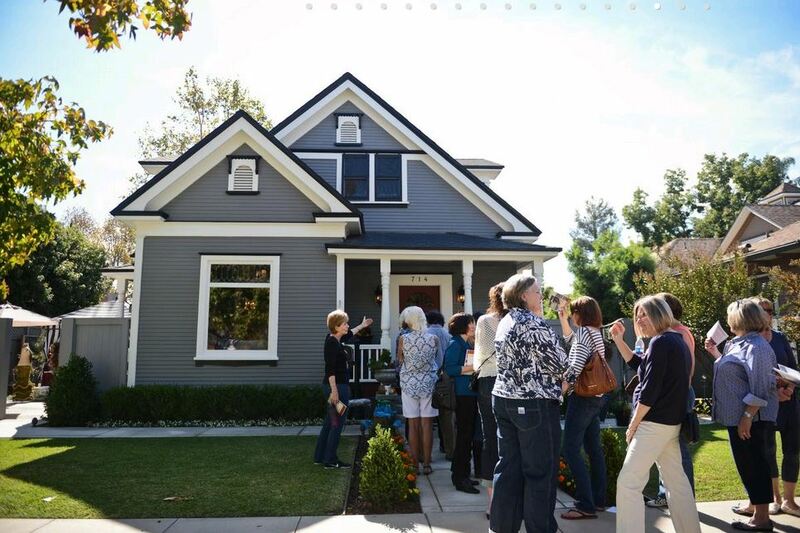 Once again, gracious homeowners here in Old Towne Orange will open their doors to friends – both familiar and new. Tickets are $20 each. For credit card, PayPal orders, and checks mailed to OTPA, your name will be placed on our Will Call list. Tickets will not be mailed in advance of the tour. Checks must be received no later than October 28, 2015. On tour days, please present your name at the "Will Call" table located at the Orange Public Library located at 407 E. Chapman Avenue in Orange (between Center & Grand Streets) to receive your booklet. The booklet is your admission to each home. Note: For Privacy Reasons, the home tour addresses will not be given out in advance! The tour is a self-guided walking tour, however, we will have a trolley available. Note: Due to the sensitive nature of historic homes and their furnishings, no children under the age of 10 years old will be allowed on the tour. We appreciate your understanding and apologize for any inconvenience. Thank you! Volunteers are essential for the tour to be successful and we need you! In exchange for working a 3-hour shift, you will receive a free ticket to the tour. Volunteering is fun for all those who enjoy historic homes and is a tremendous way to support our community. If you’d like to help out, send us an email at info@otpa.org or leave a message on our hotline at 714.639.6840. We will be updating this information as our tour plans progress, so please check back with us for additional information!